Whether you are a long time trucker or are a new owner operator, we can help you make & save more money on the road with benefits like fuel cards, load boards, insurance, and more. Get Started With A 30 Day Free Trial! Most owner operators close their doors within the first year of operation. AAOO is here to make sure that you not only stay in business but to see you thrive as an owner operator. 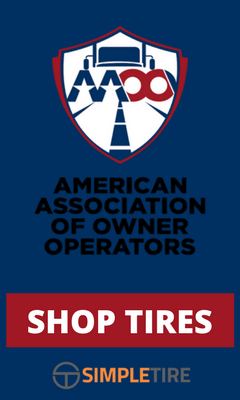 The American Association of Owner Operators is a nationwide association created to benefit professional owner operator truckers and small fleet owners. It is the mission of AAOO to give our members the latest technology, benefits, and assistance so that they are able to successfully thrive in today’s trucking industry. Listen how AAOO has helped Tom’s trucking career. With an AAOO membership, you have access to all the benefits you see below. Select an individual benefit to learn more. Don't take our word for it. Here is what our customers say about our products and our awesome support! Been very happy with AAOO! The fuel card rocks!!! AAOO has helped me increase my income by 50%. with the help of their load board and fuel card! Screw OOIDA! These guys actually helped me with useful benefits and real insurance for my truck. 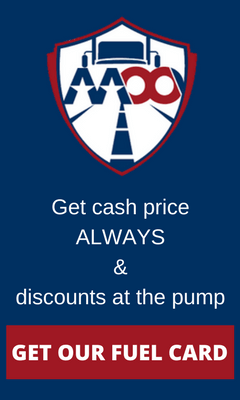 For only $5/month, you can become a member of the fastest growing owner operator trucking association and gain access to amazing benefits to help you make and save more money on the road!